Who do you still know from eighth grade? And what's your relationship? Do you check in on Facebook to see how many kids, pets and houses they have? Or have you built an entire career together and made it work for decades, like the co-frontmen of the band Dr. Dog? Scott McMicken and Toby Leaman met in the eighth grade in the 1990s. 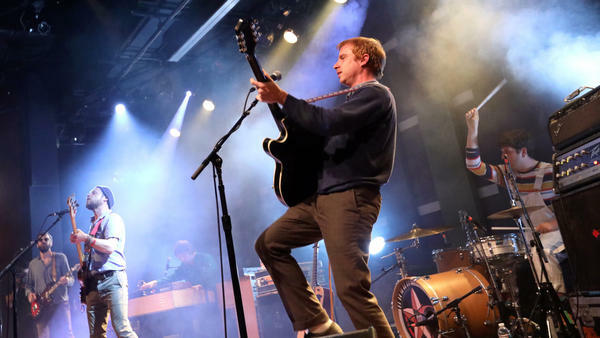 They started putting out music together in the early 2000s and went on to form Dr. Dog in Philadelphia. Over the course of nine studio albums, they did it their own way: They built their own studio and cultivated their fan base with spunky songs and wild live shows. From the outside, it seemed like they had it all figured out. But when it came time to make their 10th album, McMicken came to the band with an idea...or really an anti-idea. I can't quite say it on the radio, but I can say the gist of Scott's idea. "F*** Dr. Dog." What does that mean? How did McMicken's bandmates react? And how did they turn that statement into a new album called Critical Equation? I talk to McMicken about all that, but first you'll hear a live performance from Dr. Dog of songs from the band's latest album. Listen in the player.